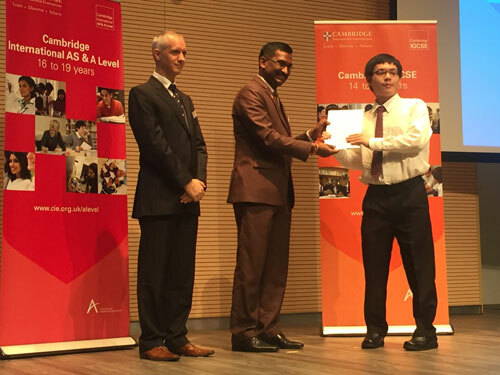 It was a jubilant moment for four students from INTI International University & Colleges when they were awarded Top in the World at the Cambridge Outstanding Learners Awards ceremony held in April 2016. Ooi Zher Ying, Tan Jian Xiang, and Lim Chiah Chien were respectively awarded Top in the World for AS Mathematics, while Zher Ying was also named the Top in the World for AS Physics. Chiah Chien was also named Top in Malaysia for Biology. Taking the award for Top in the World for AS Law was Christopher Joseph Guo Wei-Yan from INTI College Nilai. The former student from Penang Chinese Girls’ High School attributed her success to the dedicated lecturers from IICP, who she says were open to questions at any time and helped students discover and hone their potential. The use of videos and other applications such as interactive group activities in addition to lectures further enhanced her learning process. 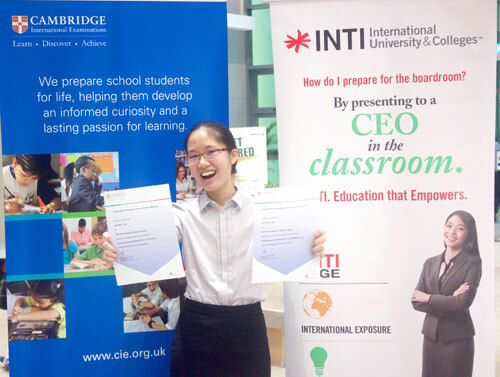 INTI’s established Cambridge A Level curriculum provides a solid foundation of fundamental knowledge and preparation for progression to international tertiary programmes. Assessments are based on students’ mastery of subjects and their ability to apply their learning in real world scenarios. Through the dedicated efforts of its experienced faculty and access to global resources, INTI students are provided a pathway to global success both in their choice of universities and future employment.